//gainsborough wrote: ↑ I would love to hear a sound test @kakan! Very nice looking board. Thanks! I'm really enjoying this build so far. The sound quality is sadly subpar as I only got my phone to record to. Now you can order the Hua-Jie AK-CN2 switches from me, I will have around 600 in stock soon. Photo at night with artificial light, so don't nail me on the white balance. And yes, the case is yellowed a lot, or should I say salmoned:o). ISO with Swiss German layout. 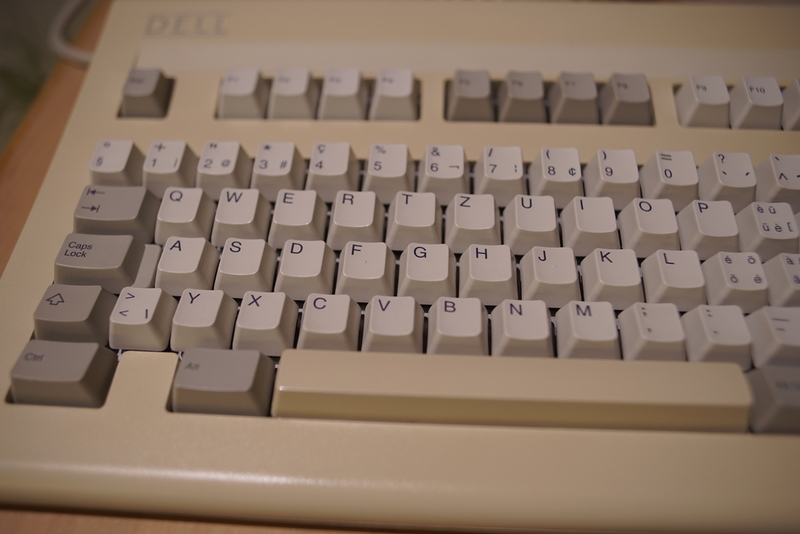 Just discovered the spoiler button, so not to spam with another image, following the orange/salmon;) spacebar looking like taken straight from an Apple AEK board.. Actually it matches this Dell case perfectly in color and structure. Talking of appreciation, special thanks to Chyros for all videos, but in this case the AT101 v AT101W comparison video. Saw it first time way before I got this lucky find. Thought there are so many more entertaining Alps videos in the bunch to pick one out actually. Perfect match of Alps switches to the actual casing. This is what real ART looks like, for us here on DT. Last edited by Elrick on 02 Jan 2019, 23:54, edited 2 times in total. ccl wrote: ↑ Talking of appreciation, special thanks to Chyros for all videos, but in this case the AT101 v AT101W comparison video. Saw it first time way before I got this lucky find. Thought there are so many more entertaining Alps videos in the bunch to pick one out actually. For most of us here, we owe it all to Chyros due to his numerous videos that show clearly, how superior keyboards were made a couple of decades, back in time. Tried printing out a 60% Alps plate. I think it should work. abrahamstechnology wrote: ↑ Tried printing out a 60% Alps plate. I think it should work. interesting, what material did you print it with? Very interesting! Plates made of ABS or other polymers should impart some new sound and feel characteristics. A plastic plate ought to be more resilient than metal. For example, I prefer typing on my HHKB with its case-mounted Topre switches rather than my RF87U with its Topre switches mounted in a steel plate. The HHKB has a bouncier feel that is less stressful on the finger tendons. Wow, I've tried do the same and my results were not as close. Does the plate deforms when you place the alps? If not, could you share the dimensions you used for the switches? I'm sorry if this is a question that comes up a lot, but is there a big difference between NOS Alps and 'reasonable condition then cleaned' Alps feel? I have been increasingly hyped to get a board after seeing Chyrosran's reviews, but I have this nagging fear that I'll be underwhelmed and end up always wondering if it could be better. Then I converted the svg into STL, imported it into Tinkercad, set it to a hole, then made a 1.5mm plate and grouped them together. Then I split it in two so I could fit the pieces on my build plate. Unfortunately this method ends up printing a lot of wasted plastic but no big deal, ABS filament is cheap. Gauntz wrote: ↑ I'm sorry if this is a question that comes up a lot, but is there a big difference between NOS Alps and 'reasonable condition then cleaned' Alps feel? I have been increasingly hyped to get a board after seeing Chyrosran's reviews, but I have this nagging fear that I'll be underwhelmed and end up always wondering if it could be better. I had a Dell AT101W that I used for several years since it was new, gave to a friend who put it in a closet for 6-8 years, then I got it back and it was still very nice, even though the keys were shiny and worn. Yet another time (recently) I bought an AT101W in original box that it looked pretty much new and unused, but it felt stiff and scratchy. You won't know until you try for yourself. 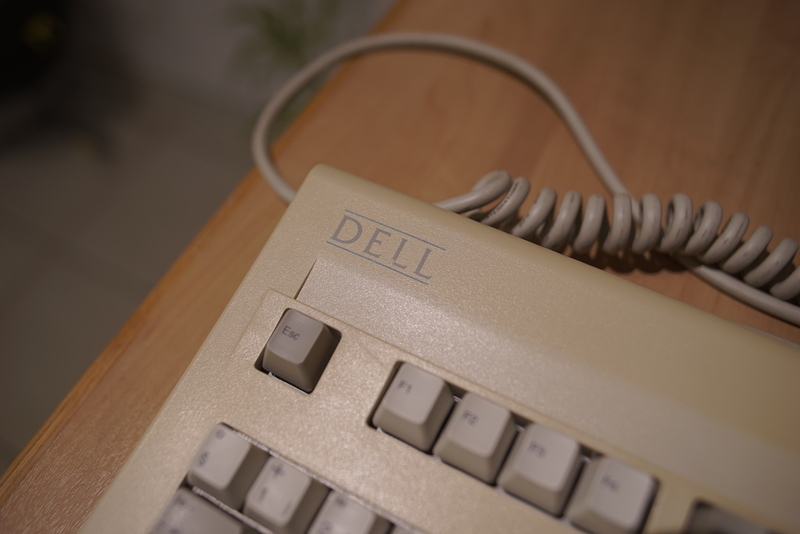 fohat wrote: ↑ I had a Dell AT101W that I used for several years since it was new, gave to a friend who put it in a closet for 6-8 years, then I got it back and it was still very nice, even though the keys were shiny and worn. Comes to where the keyboard was stored, either in a Dry Air space or in a high Humid area. Naturally anything stored in a water saturated climate, will start to corrode the internals of any Alps switch. Although I have seen certain people spray some PTFE dry lube into Alps switches (NIB), that coat them sufficiently to help avoid any corrosion setting in. Of course the feeling of the switch changes instantly. I should perhaps elaborate a little bit. I'm not saying ONLY clean Alps boards feel good. I own several well-used, not-clean Alps boards that are fine. 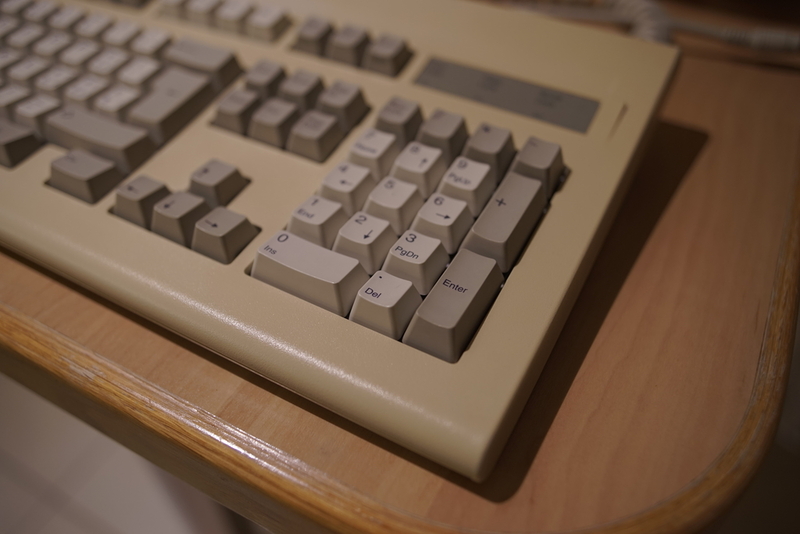 This includes my daily work driver, a ZKB-2 that wasn't clean at all (plate deeply rusted, dust and fluff present on and between the keys) and was well-used (caps yellowed and pretty shiny). My own, daily use for the last, what, 3 years, hasn't helped I'm sure. But still it feels fine. Conversely, I have a Z-150 that appears spotlessly clean but feels terrible, and doesn't even work properly; it's electrically buggered. Not ONLY clean boards feel great, and not even all clean boards do. But the cleaner a board is, the better the chance of it feeling nice. And although a board can be dirty and used and feel great, even they feel just that 5% or so less perfect than a spotless, perfect, NOS one. Which can actually be a problem; I almost never use my KB-101A because I'm so afraid of wearing it out or damaging it somehow xD . I just discovered that my ancient Harman/Kardon amp has a legendary Alps Black Beauty potentiometer inside. I always wondered why its volume knob felt superior to anything else. 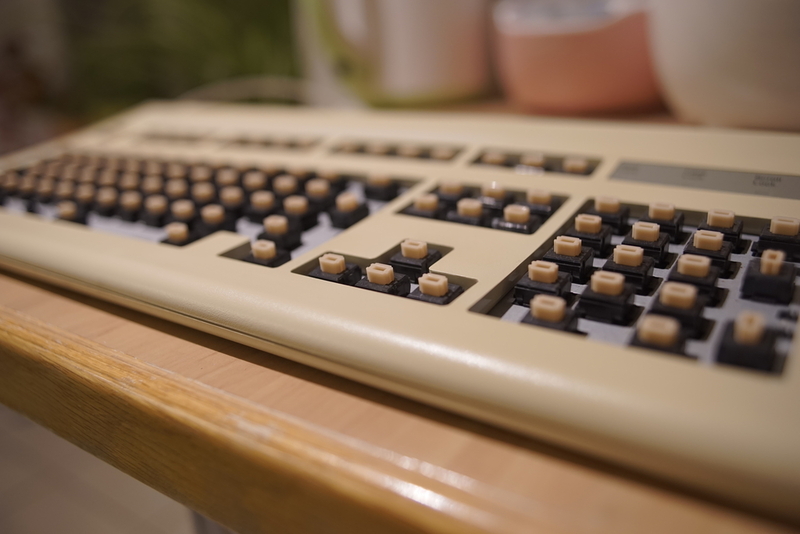 It's such a silky smooth and perfectly dampened knob action... Now I know that not only Alps keyboard switches, but also their other products were highly superior to their competitors! Sadly, Black Beauty suffered the same fate as Alps switches and was discontinued a long time ago. It's a shame, really. mind if I ask for pics? I actually took a crappy cellphone pic of this pot because I didn't believe my eyes. Basically it looks like a regular potentiometer except for the fact that it's absolutely GINORMOUS. And black. Could you describe the terrible feel of your Z-150? Are they scratchy? Have you opened some of the switches to see if there is any visible dirt or residue at the bottom of the switches? Regarding the electrical issues, what kind of converter are you using? I'ver recently restored two Z-150s, including modding the SKCL green Alps switches in one of them with SKCM blue Alps top housings, sliders, springs, and click leaves and modding the other with the same parts from SKCM white Alps switches. I like the Z-150, but I prefer tactile or tactile-clicky switches to linear switches. Iintially, I was getting all sorts of weird behavior from the Z-150s, including seemingly random missed keypresses or severe chattering. At first, I thought I had done a bad job modding the switches. It turned out that these aberrations were due to the Soarer's converter, which apparently does not work correctly with the Z-150. I switched to Hasu's converter, and this took care of the problem. The other variable is the converter board -- I had the Soarer converter on a Pro Micro, and now the Hasu converter is on a Teensy 2.0. I haven't yet tried a Pro Micro with Hasu's converter installed. I'm typing this on a restored Leading Edge DC-2014 with an internal Orihalcon/Soarer converter on a Pro Micro, and it is working fine. Apprently, the protocol used by the DC-2014 is different from that used by the Z-150. When I first put the DC-2014 back together, I didn't like the sound. It seems that the hollow plastic case amplifies the sound in such as way that it too loud and has a wooden timbre. I actually prefer the sound of the disassembled DC-2014 with the PCB-Plate assembly sitting on top of a folded terricloth towel to protect my rubber keyboard-mouse mat from the switch pins protruding from the bottom of the PCB. This is the setup I use when testing the converter and switches. So, I took the board apart again and lined the case with terricloth strips and padded shelf liner. The result is that nice "punch through the desk" sound that blue Alps switches make when housed in the right sort of chassis. I am considering making a custom case for a Z-150 and a DC-2014 that would be minimalist -- something like a sandwhich or tray case with as little bezel as possible. In addition, when I use the stock cases, I would like to optimize the materials and procedure for the sound-absorbing liner. At present, installing the liner is a somewhat haphazard process using whatever materials I happen to have on hand. You might as well use your wonderful Acer KB-101A board. Given that it was new when you acquired it, the switches should be good for the advertised duty cycle of 10 million keypresses! alps are heavily reliant on chassis, definitely. never had the grace of trying skcm blue, but i have many skcm white boards and all of them sound different. the omnikeys sound the best, ofc, but all of them have their own interesting little quirks that give them character. I had a similar experience. The newer one sounded worse than the older one. It turns out that the newer one had "bamboo" switches (no slits in the top housing) and the older one had "pine" switches (slits in the top housing). Have you checked to see if the difference you are hearing is due to pine vs bamboo? I'm hoping to nail down this change in feel and sound, which I've also experienced with my Alps keyboards, to a particular part or parts that changed. We've talked about this a couple times recently, but I'm having trouble finding and following things with the new layout. It's human nature to want things to be simple, but there's a lot more to Alps switches than pine/bamboo or complicated/simplified. Could you pop a couple caps and provide the mold numbers on the upper right corner of your switches on the two versions? And also note whether the upper housings are branded or unbranded? Usually most or all switches in a given keyboard will have the same numeric code there, with the suffix letter (cavity number?) being different. My theory, which could be completely wrong, is that the numerical part of the upper right mold markings is a "generation" number, which got bigger with later molds. 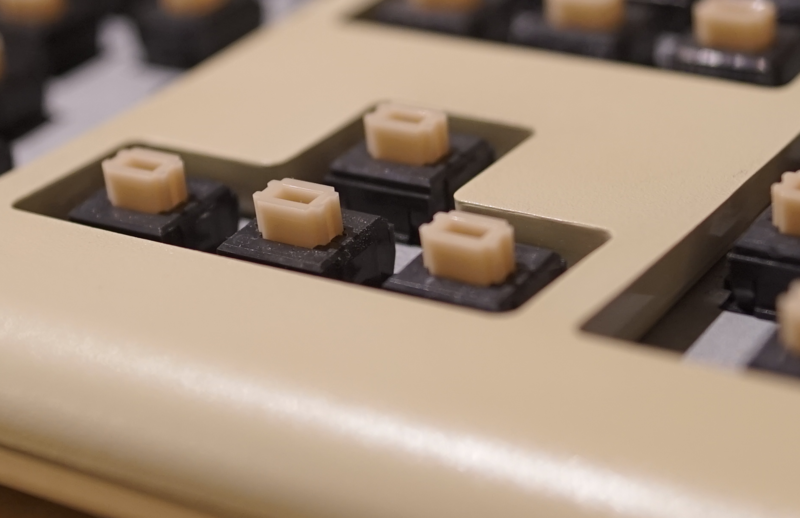 I don't think it's the housing that changed, but if we can narrow down the change point by connecting it to the mold numbers (assuming the above is true, and that the change in the internal parts happened at a particular point in time) it would make a better predictor of the "good" switches when looking at prospective keyboards. Again it's pure speculation at this point, but I'm ok with trying and being proven wrong, especially if we can learn something in the process. I'm having to pull my Omnikey (Blackheart PCB, Matias clickies) out of rotation; the S key is repeating badly. I find myself souring on the Matias endeavour more and more-- the switches are okay but not as good as they might be, and the keycap delays are just comical. The primary selling feature is "you can buy them by the bag new", a proposition that Hua-Jie, Tai-Hao or Datacomp could potentially cut into easily. I threw the old GH-122 with Box Navies on as a substitute til I can get out the soldering station. Forgot how terrible they are by comparison; plasticky sounding and all the wrong tactility. What amplifier, stratokaster? The other reason I was taking the soldering station out was to replace the capacitors in my ~1978 JVC JR-S301 reciever. 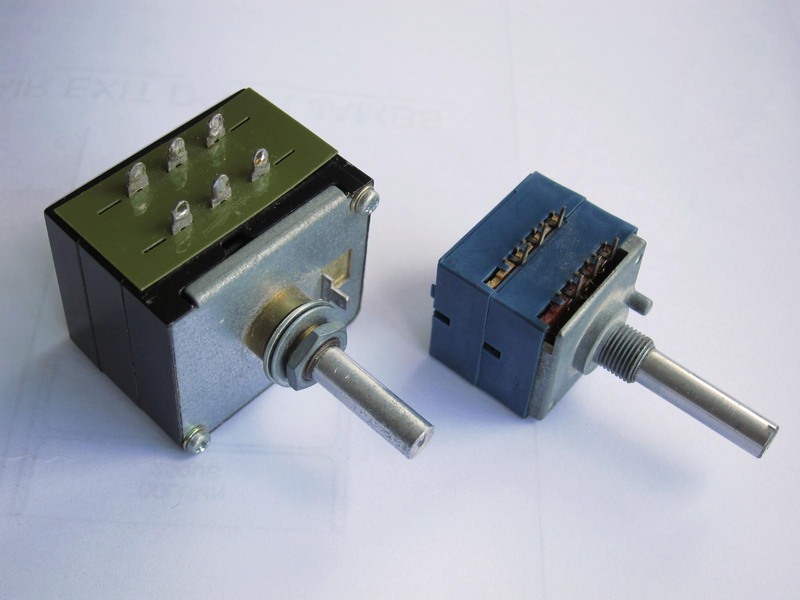 That unit has my least-favourite Alps switch-- the SDUxP types of power switch, which tend to arc and burn out when used to switch a 100-watt load for 40 years. Could you pop a couple caps and provide the mold numbers on the upper right corner of your switches on the two versions? And also note whether the upper housings are branded or unbranded? I don't know what it is about Alps and the color blue, but I've heard very good things about their blue potentiometers. Blue alps Chicony. This and a Chicony logo on the cable were the only manufacturer designations i could find. No model sticker. Pretty happy about the NKRO.